91.7 FM WNJR Washington / Pittsburgh : WNJR.org: NEW SONG ALERT! 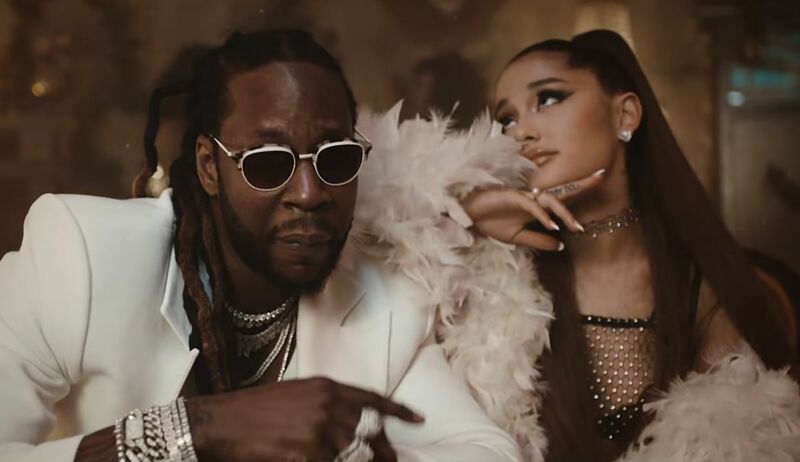 It seems as though my R&B/Pop and Hip Hop dreams have finally come in to fruition, now that 2 Chainz and Ariana Grande decided to bless us with this bop "Rule The World. " The song brings me back to early 2000's R&B (amerie)- a happier more simple place. What makes this collab so special is that there was a perception that 2 Chainz and Ari had beef after the release of 7 Rings. It was rumored that the video and melody was ripped from 2 Chainz song. It was quickly settled when 2 Chainz hopped on the remix and now they are back again with this BOP! All in all thank you for the song, take a look from the video and let us know what you think?